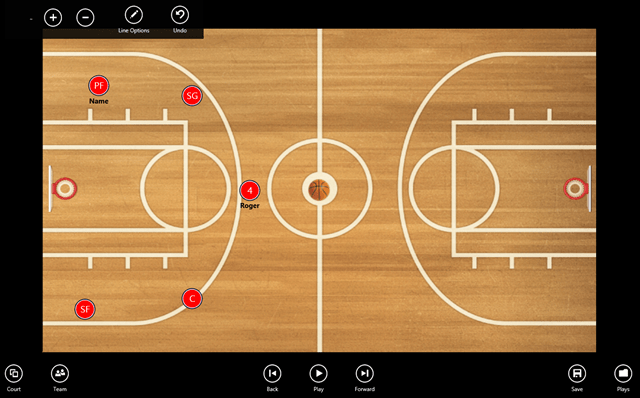 Basketball Coach’s Clipboard is a free Windows 8 basketball app, designed, especially for Basketball Coaches and also for the tyro basketball planners. The most delightful thing about this basketball app for Windows 8 is that, it is very easy to use. The app looks like a clipboard with a design of a basketball court (Full-Court and half-Court). You can switch to any of the court choice for better understanding of the players. You can mark the players with their own player number and the player names, which will help the players to remember their locations and spots on the court. 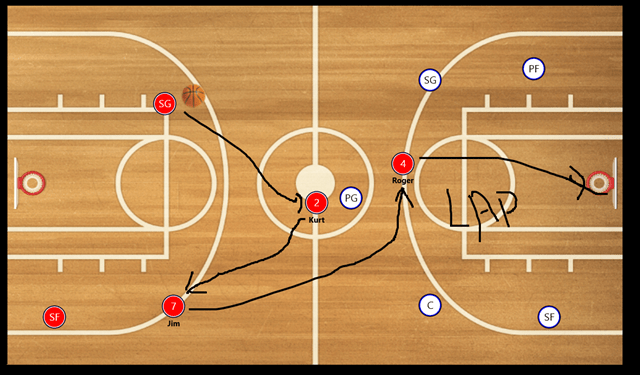 You can easily mark the game plan and strategies for the prospective game, and is quite simple for the youth basketball to understand the strategies marked on the clipboard also with the assumed position of your opponent team players. This Windows 8 app is useful for those players who wish to pre-plan their victory with the help of strategies drawn on this actual clipboard. 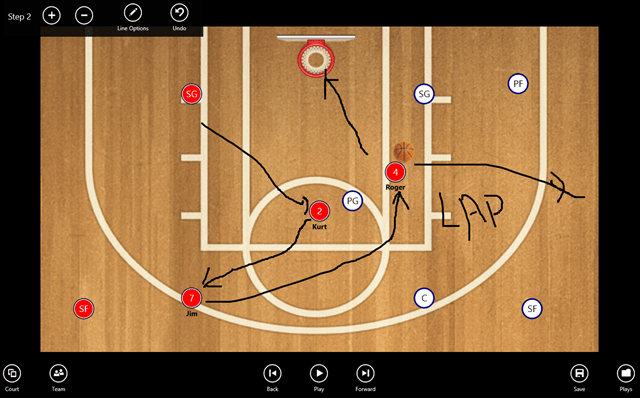 This cool and simple Windows 8 basketball app is quite useful at the Basketball Camps for the youth basketball to teach game-plans and strategies. You can save the planed strategy and can easily load it to your clipboard anytime when you want or you can just undo your mistakes and at the same time you can also delete the strategies which you don’t want. In addition to that, you can also import and export your strategies to & from various weblog posts and from other saved screenshots. Well, I guess Basketball Coach’s clipboard Windows 8 basketball app is a smart and easy way to plan your victory. I bet, it will be a fabulous Windows 8 app for the future basketball coaches and also for the veteran basketball coaches. Go ahead and download Basketball Coach’s Clipboard Windows 8 basketball app available under the ‘Sports’ category of Windows 8 store. Else, learn how to search an app in Windows 8 store.